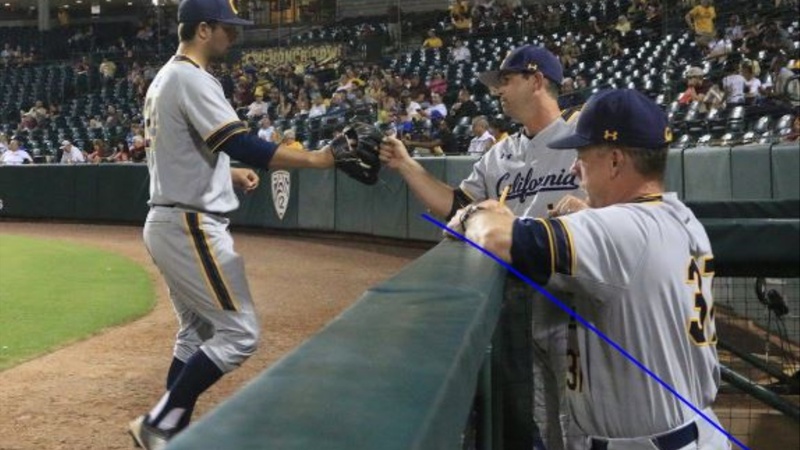 PHOENIX, Ariz. – Senior left-hander Matt Ladrech made his final regular season start as a Cal baseball player a good one but host Arizona State rallied for two runs in the bottom of the ninth inning and the Bears dropped a 5-4 decision at Phoenix Municipal Stadium. Cal (30-22, 14-14 Pac-12) took its first lead of the evening without needing a hit to do it. Max Flower got the seventh inning started with a walk and when a grounder advanced him to second, Arizona State went to its bullpen for the first time in the game.